As a hair stylist, you’re probably more focused on giving your clients the perfectly tousled waves than thinking about your tax liability. But a bit of tax savvy can save you some serious dough at tax time—just make sure all your documentation is in line. Learn how to get the most from your business deductions and minimize the taxes you may owe. If you run your own hair salon, you already know you’re self-employed. But if you’re working at someone else’s establishment, your status as either an employee or an independent contractor may not be so clear. The distinction makes a big difference in how you approach your taxes. If you’re self-employed you’ll need to pay self-employment tax, and you might need to pay taxes quarterly. If you’re an employee, on the other hand, your employer will withhold taxes from each paycheck. You can tell which you are by the tax form the salon gives you—if it’s a W-2, you’re an employee; if it’s a 1099-MISC, you’re an independent contractor. But don’t wait until you get your tax forms to find out, ask your employer at the beginning to avoid surprises at tax time. For tax years prior to 2018, both employees and contractors can claim business deductions. However, as an employee, you are more limited in the deductions you can claim. Employees have to meet the 2% floor—you’ll only be allowed to deduct expenses above and beyond 2% of your adjusted gross income and you will have to itemize your deductions rather than taking the standard deduction. Beginning in 2018, employees are no longer able to deduct their unreimbursed employee expenses on their taxes. The money you invest in your hairdressing business comes at a significant tax advantage. Upfront costs for setting up the business—like dryers, furniture, and equipment for your workspace—can reduce the amount of taxes you owe. If you purchase a barber chair for $1,500, for example, you can depreciate that cost over 5 years. If you go for a section 179 deduction, you could deduct the entire $1,500 in the first year (provided your total section 179 deductions don’t exceed $1,000,000 in 2018). If you’re running your business out of your home, you may be eligible for home office deductions for a portion of the cost of rent, utilities, and homeowners' insurance. The cost of licensing, legal fees, and business-related insurance premiums are also tax deductible. 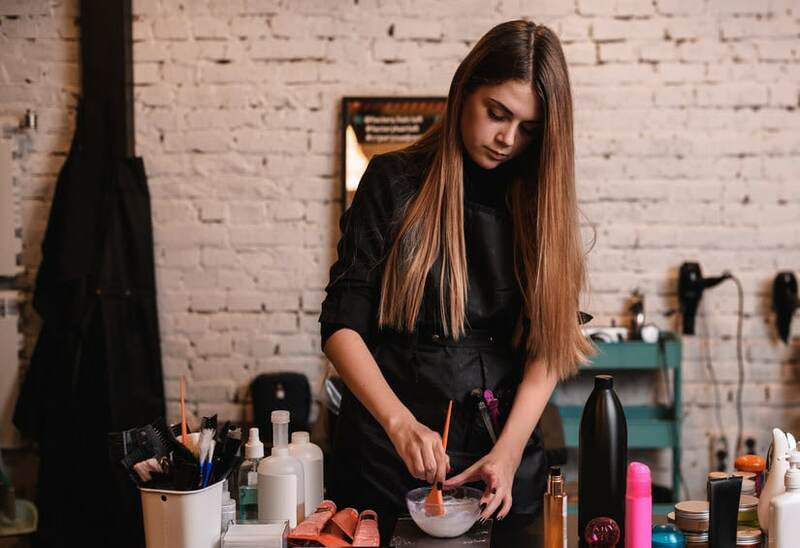 Training and personal development not only ups your earning potential, it offers some tax benefits—so go ahead and take that course on perfecting the art of balayage! Paying for training at a recognized post-secondary institution can lower your tax liability if you claim an education tax credit, and some or all of your scholarship funding may be tax-exempt. You may also be able to claim continuing education costs via the Lifetime Learning Tax Credit or as a tax deduction from your business income. When preparing for tax season, it’s absolutely essential to keep your documentation in order. You’ll need to retain your W-2 forms and 1099 forms to document your income, and keep receipts for purchases you make relating to your business. Organize your receipts regularly, for example, once or twice a month to spot any missing documentation so you can track it down well before the tax filing deadline.